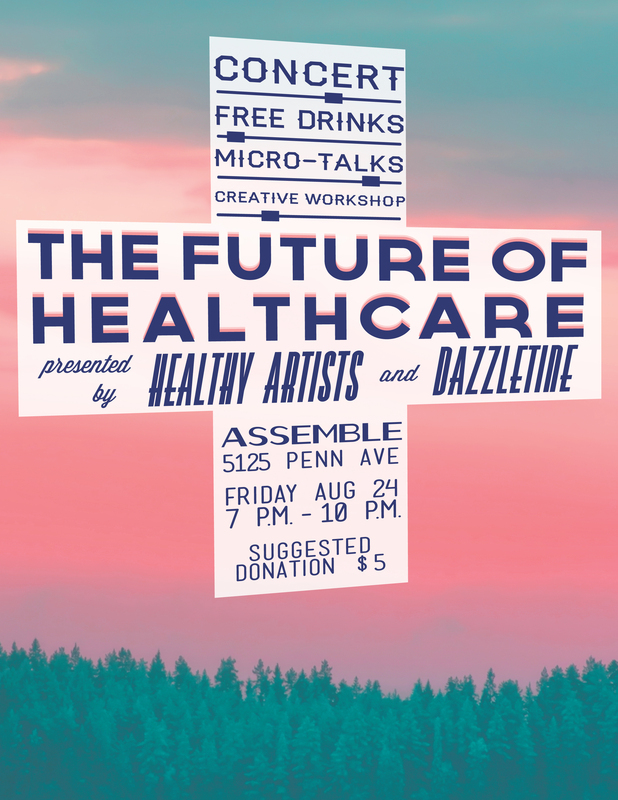 Creative Workshop: Party-goers will free-associate through words and images on what they want for the future of health care. It can be realistic or fantastical. You can use your imagination and your experience with the current health care system. We will provide paper, art supplies, and inspiration, as well as info about the health care systems here and abroad. Write a poem, draw a picture, write a flash fiction piece. Jenn Gooch: Catch Pittsburgh’s legendary banjo-wielding songstress before she moves out in two weeks to the west coast. Dazzletine Concert: The glam-rock band, Dazzletine, will deliver a spectacular performance. Oh, and, dance party!